Marketing & communications are a vital part of the fundraising process. Giving is often an emotional response to a heartfelt appeal. Our job is to evoke that emotional response by telling your story in the most personal and compelling way. Not only is The Curtis Group a team of seasoned fundraising professionals, we’re also expert communicators: adept in nonprofit marketing, public relations, copywriting and graphic design. 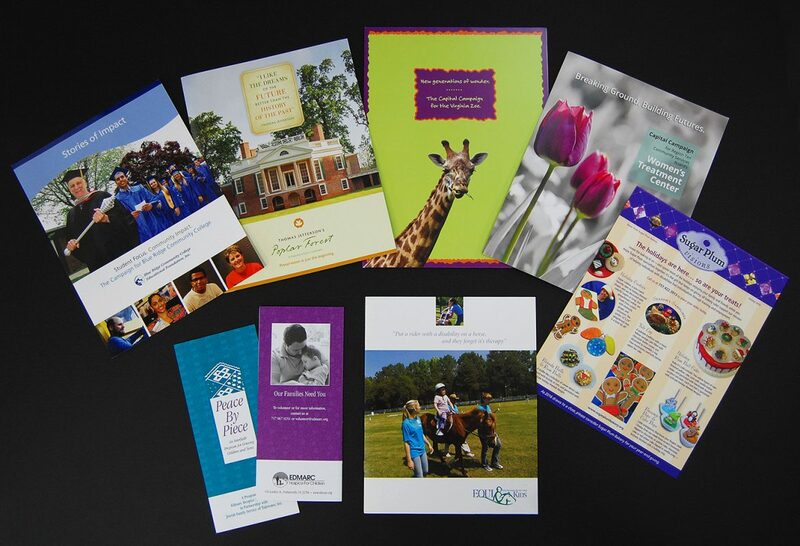 Any successful fundraising campaign requires a well-designed and executed marketing campaign. We will help guide you on theme, case for support content, brochures and support materials; major-donor presentation kits; and event planning, public relations and media support programs. Our campaign materials are inviting, user-friendly and, most of all, persuasive. They’re a vital part of the fundraising process, and they make “The Ask” that much easier.